We are dedicated to coach companies of all sizes in their transformation efforts, guiding them to become highly adaptable and digitally connected. We passionately believe that businesses can become more human and beneficial for society in this process. Based on our shared history of guiding strategic transformation initiatives inside the Bosch Group, we combine decades of experience across different business sectors. Janka Krings-Klebe holds a Dr.-Ing. in mechanical engineering and is a successful entrepreneur and author. She has many years of professional experience in different international industries. Previously she led strategic change initiatives at Bosch on corporate dynamics and digital transformation for several years. As a strategy expert for Industry 4.0, digital business models and organizational design, she prepares companies and executives across industries for the dynamic changes that are taking place through digitally networked markets. 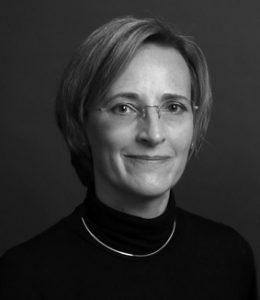 Janka Krings-Klebe is deputy chairwoman of the Digital Transformation committee of the Chamber of Industry and Commerce (IHK) Stuttgart and Member of the Harvard Business Review Advisory Council, an opt-in research community of business professionals. 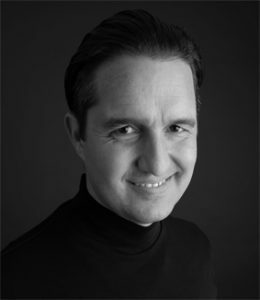 Joerg is a visionary thinker, combining systemic insights with the latest technological developments, global business trends and societal issues towards a holistic understanding of digital business. Joerg works a strategic advisor and senior business coach with more than 20 years of professional experience in different industries. He is an expert in business platforms and entrepreneurial organizations. 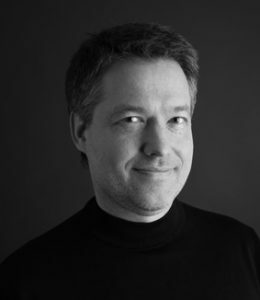 Joerg has coached digital transformation initiatives for different engineering and software development companies. Joachim Heinz is a strategic advisor and senior business coach with more than 17 years of professional experience in different industries. He is an expert in “start-up-like” business cultures as well as digital leadership issues. Also, Joachim is a global speaker in those topics. Previously, Joachim was leading culture change initiatives at different multinationals. His constant drive for change is fueled by the passion to grow people, teams and businesses. March 7, 2018 | VC-BW: Digitalisierung in der Kreativwirtschaft: Bedrohung oder Chance? Feb 27, 2018 | DPRG Journal: Digitalisierung in der Kreativwirtschaft: Bedrohung oder Chance? Sept. 17, 2017 | Barnett, P.: Will you survive digital disruption? co-shift GmbH is an owner-led consultancy based in Stuttgart. The owners combine many years of business experience, leading and coaching large-scale transformation efforts in different industries, such as telecommunications, automotive, software and mechanical engineering. Today, co-shift supports international companies from all industries in coping with the challenges of growing business dynamics and complexity. co-shift is specialized in building highly adaptable business for the digital age. Its portfolio provides a broad range of services and solutions for strategy, business and organizational development, especially in the context of digital transformation. Visit us at www.co-shift.com.